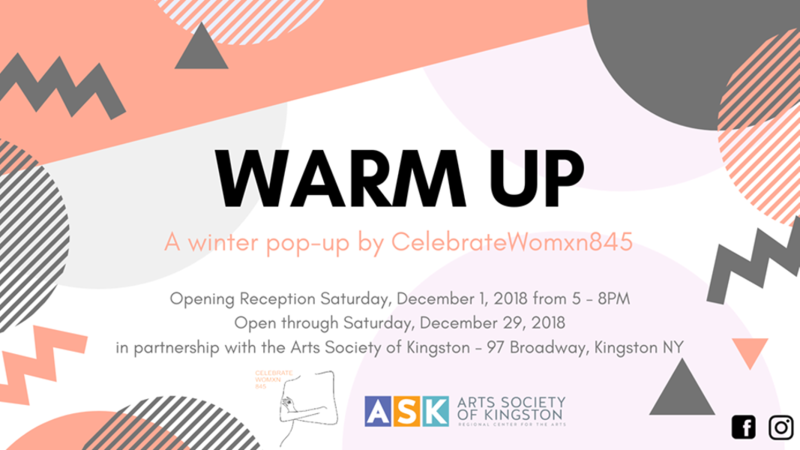 WARM UP with CelebrateWomxn845 ☕ Join us for our winter pop-up exhibit at ASK! This month-long show will feature work by 7 of our best friends and will also serve as a warm-up to the great events we have in store for 2019. Stop in, WARM UP, and cheers to wonderful womxn ✨✊ Opening Reception: Saturday, 12/01 from 5-8PM (part of Kingston's First Saturdays) Open to the public Tuesday through Saturday 1-6PM Closing: Saturday, 12/29 Featured artists: Amanda Light, Ami Madeleine, Bekah Starr, Brianna Barrett, Gabriella Mazzucco, Jamie Sanin & Nikki Luna Paz.